I am so excited to share this with you on this horrible rainy day!! Starting Friday in London at the Westfield Shopping Centre Shepherds Bush, St Tropez are touring the UK on their ‘Spraycation Tour’! If like me you are planning on a staycation this summer, you know the chances of getting a tan are pretty limited (well lets me honest, non existent!!). That’s why St Tropez have launched this Spraycation Tour!! 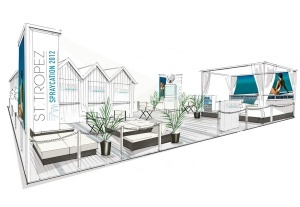 The St Tropez Spraycation venues will provide tanning in their luxury beach-themed pop-up locations! You can get a bespoke spray tan, luxe complimentary beauty services, fab samples and lots of expert advice!! I would say definitely don’t despair if your budget isn’t going to stretch to a holiday abroad this summer. The UK is going to have some amazing activities this year and we have already seen a preview with the Jubilee weekend being a smash hit! The Spraycation Tour is just a brilliant chance to fake a natural golden tan without the added cost of travelling abroad to get it (or risking damaging our skin or god forbid the dreaded ‘C’ word!). 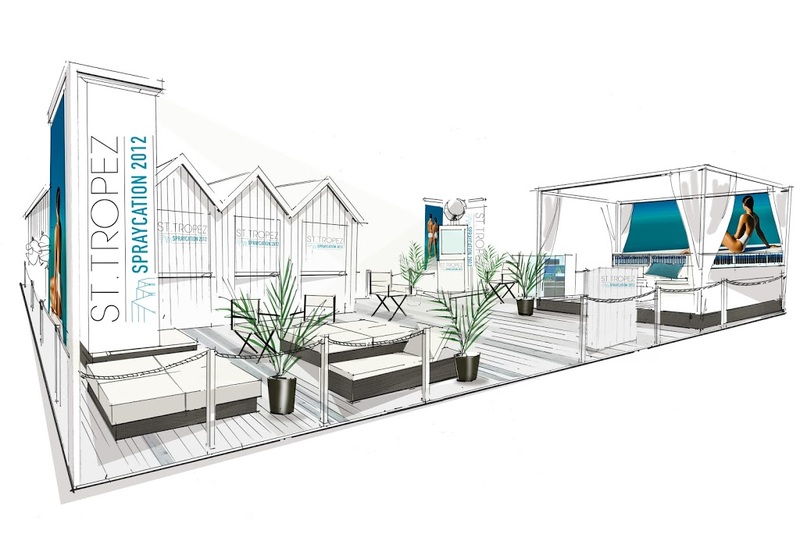 So where can you get a fantastic St Tropez tan on the Spraycation Tour? NOW FOR THE MOST EXCITING NEWS!!!! The fabulous people at St Tropez contacted me offering my readers the chance to win a bottle of the St Tropez Dark Lotion or Spray!! -Tweet about this competition and the Spraycation Tour! -Write your name and contact email on this post! This competition is for UK followers only and will end on Thursday at midnight (14th June) so QUICK enter NOW!!!! "I Heart London Signed Book Giveaway :)"
"MAC Zoom Fast Black Lash Mascara Review"
New reader to the blog but it’s cute and my friends love it! WOW would love this so much! Would love to win and review it on my blog too!! Massive fan of st tropez, swear by it! Thankyou for the giveaway! I would love to try this tan, I’ve never tried one but would be interested in how it applies! Hello lovely, I am following you via GFC – Lizee Barry and I’ve been following St. Tropez for a very long time now 🙂 I have retweeted your post too! Thanks for this amazing comp! Done done and done! What a great idea from St Tropez, what clever fellows they are! I’m a follower and have completed all of the steps! Have you tried the new St Tropez Dark? I’d love to see a review! Love love love St Tropez! Fingers crossed! Follow you on bloglovin (jamesdamario@gmail.com) and twitter j_damario and tweeted! I love St. Tropez! I’m so horrible pale at the moment, I need a bit of this aha, so I can’t wait for the spraycation comes near me!